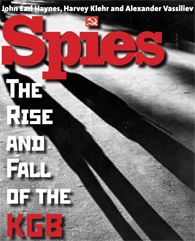 The latest Russian spy scandal might have taken many Americans by surprise, but not Emory political scientist and historian Harvey Klehr. He's one author of the book "Spies: The Rise and Fall of the KGB in America." The book offers new revelations on Russian spying during the 1940s and 50s, based on 1,100 pages of hand-copied KGB files from those decades. As the book reports, the files show definitively that some Americans who were never suspected — and some Americans who were long-suspected spies — were, in fact, working for the KGB. Harvey Klehr talks about what the KGB files reveal about Russian spying in the U.S.
Click on player below to listen.